World Travel, Inc. team members were fortunate enough to attend GBTA 2018 in San Diego recently, where we met so many talented travel professionals from all over the globe. Thank you to all who visited our booth, met with our team, or partied with us at our beach bash! 325 companies participated by selecting an area of importance from seven options, including reducing travel and expense costs, travel technology solutions, increasing traveler compliance, risk management, a global travel program, leveraging data, or consulting services. Which options were the most popular? What are the highest priorities for most companies? The full results are shown below. It is no surprise that reducing costs topped the list. Finding opportunities and strategies to lower the overall travel spend can save your company money very quickly. The first step, of course, is identifying what is driving up costs for your travel program. Non-negotiated rates – Car, Hotel, and Air contracts can be negotiated on your behalf to ensure that your program is taking full advantage of discounts available to you based on volume and market share. Poor Traveler Compliance – Even if you do have preferred suppliers and negotiated rates, maybe your travelers are going rogue and booking reservations on their own. What they believe is a “better deal” could end up costing you more. Booking Late – Advanced bookings typically result in lower fares. Low Online Adoption – If most of your travelers are booking through an agent as opposed to through an online booking tool, this may be driving up costs as well since agent assisted bookings usually require a higher service fee. There are many other causes that could be driving up costs for your program. World Travel, Inc. can work with you to reduce those costs by negotiating your car, hotel, and air contracts, helping you further develop your travel policy, increase online adoption through optimization of your online booking tool, etc. 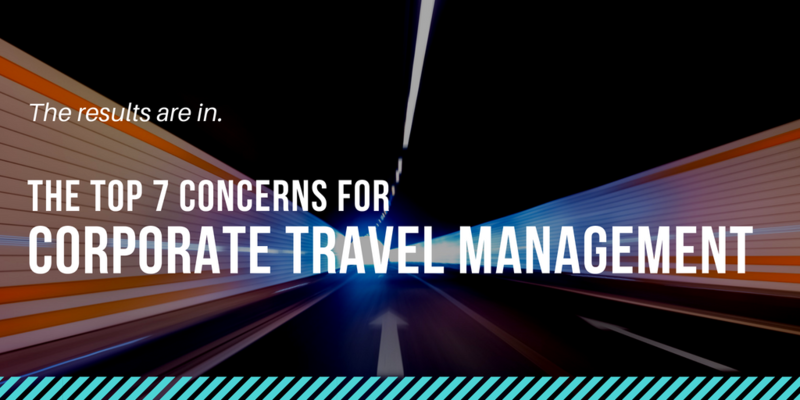 In the words of Bob Dylan, “The times they are a changin!” These words are as true now as they were then, and we are glad to see that so many companies are looking toward the future, especially when it comes to managing their corporate travel program. At World Travel, Inc., we invest in innovative technology that benefits mid-market clients. Our technology is designed to be flexible but reliable. We are committed to best-in-class technology that ensures the safety and security of your data, but we never underestimate the value of an easy-to-use interface. Be sure to check out the agenda for World Travel, Inc. Fall Symposium, a full-day of learning in New York City, which will feature several innovative travel technology solutions. To learn more, click here. Let’s say you already implemented the perfect travel program for your company and have the right technology solutions, but for whatever reason, your travelers are still going rogue. How can you get them to follow the rules? A good place to start is on the policy level. For example, is your travel policy well-defined and measurable? Has it been communicated to your travelers, and do they have access to ongoing education or resources on the travel policy? Better yet, is your online booking tool optimized to best fit your travel policy specifically? There are many creative strategies that can be used to increase compliance (just ask our team), but policy compliance can also be enforced when mandated, with hard-stop approvals, or with a lack of reimbursement. The key is figuring out where you are now and what strategies have or haven’t worked for you in the past. Risk Management is one of the most important concerns for any travel program, especially when your corporate travelers are jetting off to international or far-flung destinations. It’s important to have the right tools available for real-time traveler tracking, alerts and notifications to both travelers and travel managers, itinerary-accessible security information, and mobile access. When a major travel event happens, you and your travelers should also have the full support of your TMC. Implementing and managing a global travel program comes with its own set of concerns and needs and choosing the right travel management company to support those needs is not an easy task, especially when you have offices across the globe. For mid-market volume companies, we typically recommend they utilize a partner network with centralized governance over the program. This is not a loose knit group of agencies, rather agencies which collectively own the network through common ownership. Companies choose a mid-market agency to gain the buying power and technology of a mega provider with assurances they will be important. World Travel and our global partners combine the buying power of a mega agency, provide the global consistency, data, and control of a single TMC, while providing high quality in-country service levels. We’re surprised leveraging data isn’t higher on the list. Do you have access to all data required to manage your travel program efficiently? Better yet, how are you leveraging that data to improve your program moving forward? World Travel, Inc. offers a proprietary reporting platform, providing unencumbered access to our clients’ travel data, illuminating traveler behavior, travel footprint, and spend trends. A suite of more than 200 reports provides date-specific summaries of air, car, hotel, adoption rates, invoices, metrics, executive summaries, and much more. Consulting Services is a concern only if you don’t have the right team in place. The ideal Consulting Services team should help you evaluate and pursue opportunities to improve your travel program, whether that be by helping you increase online adoption, negotiate air, car, and hotel contracts, etc. Not sure where to start? World Travel can help you identify opportunities to better your program. We’d like to help you reach your goals, so World Travel, Inc. will be posting more blog articles and resources in the coming weeks and months addressing the focus areas listed above. Be sure to check back for more information! In the meantime, if you have any questions or concerns regarding the areas listed above, please contact your World Travel, Inc. Account Manager or reach out to our sales team at Sales@worldtravelinc.com.